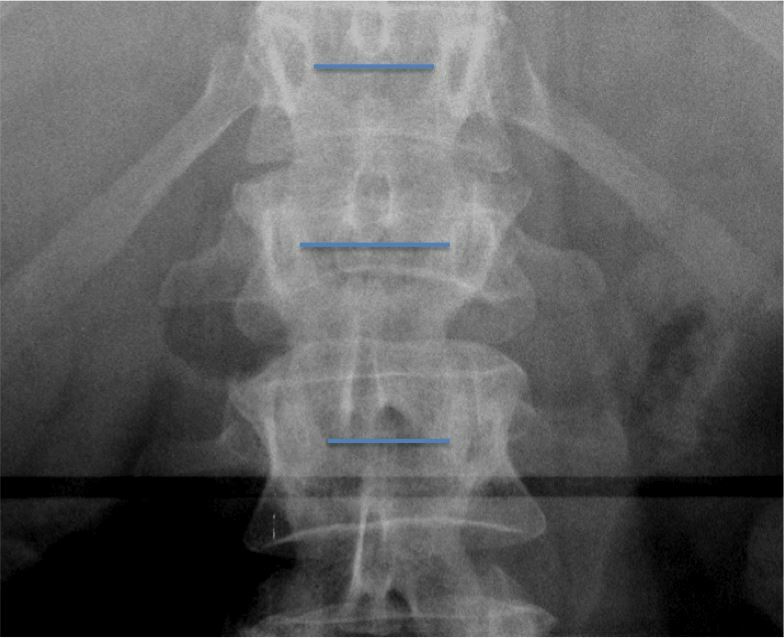 60-70% of thoracolumbar spine fractures in adults occur at T12, L1 and L2, with 90% of all fractures being seen between T11 and L4. 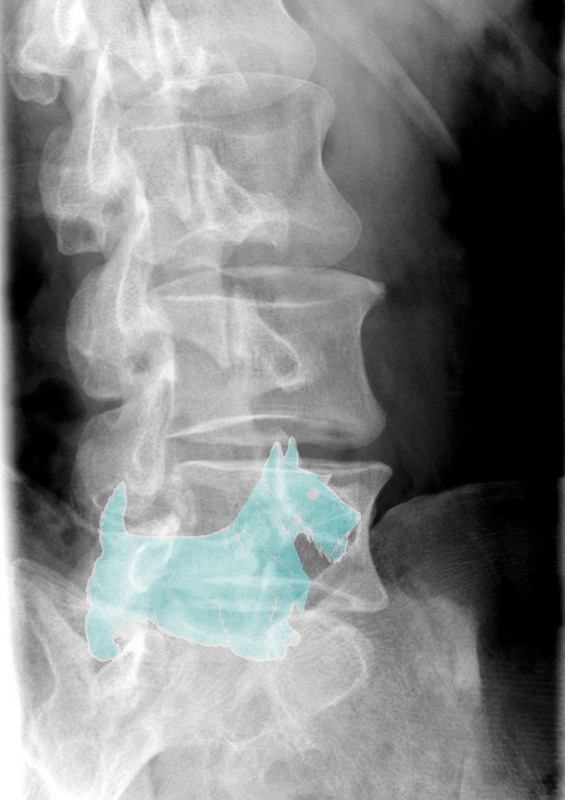 It is therefore important that T11/T12 is included on all trauma lumbar spine radiographs. 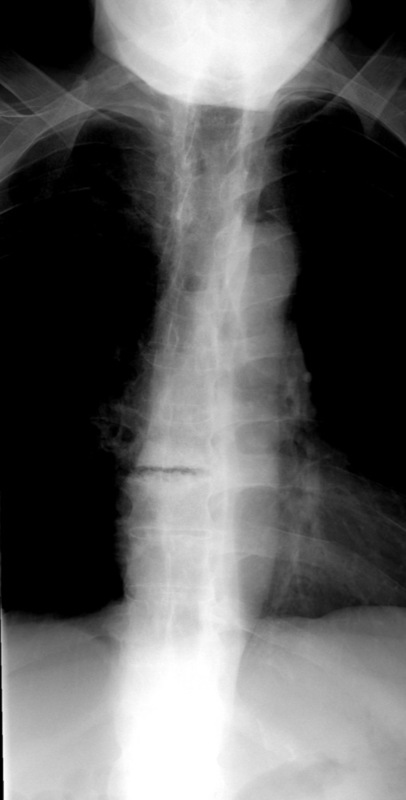 Compression fracture at thoracolumbar junction + fractures of the os calcis. 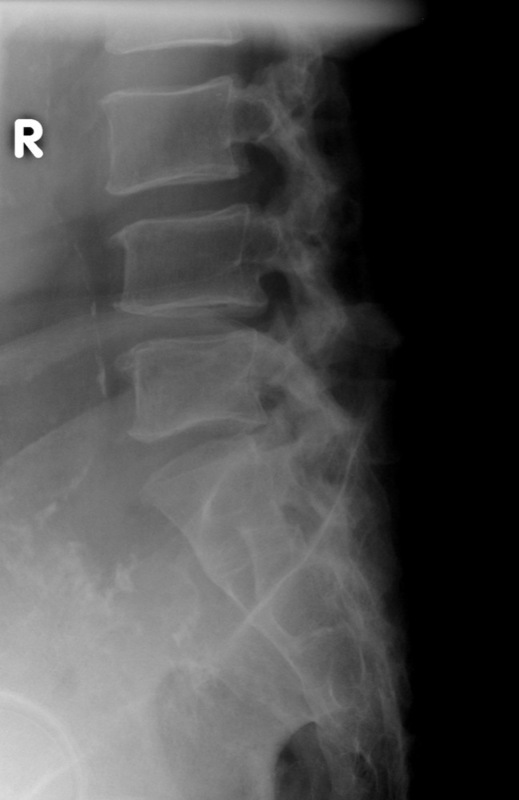 Upper thoracic spine wedge fractures + sternum fractures. 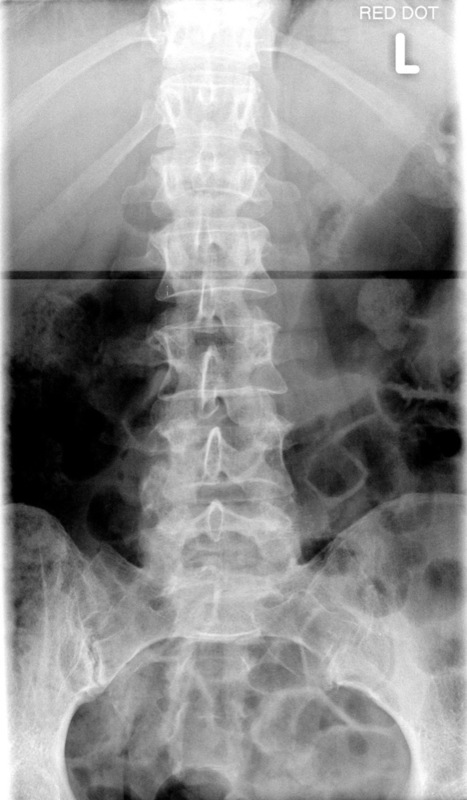 Height of vertebral bodies should be equal. 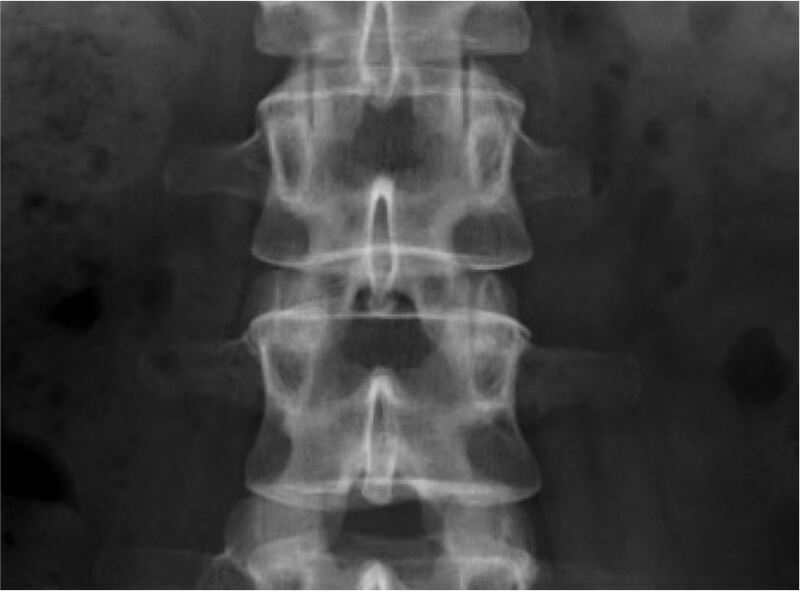 Width of intervertebral disc spaces should be uniform. 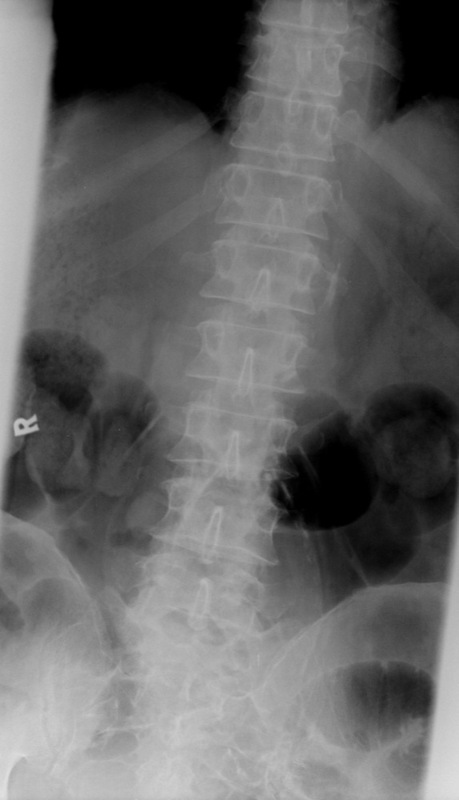 Continuity of superior and inferior endplates: should remain unbroken. 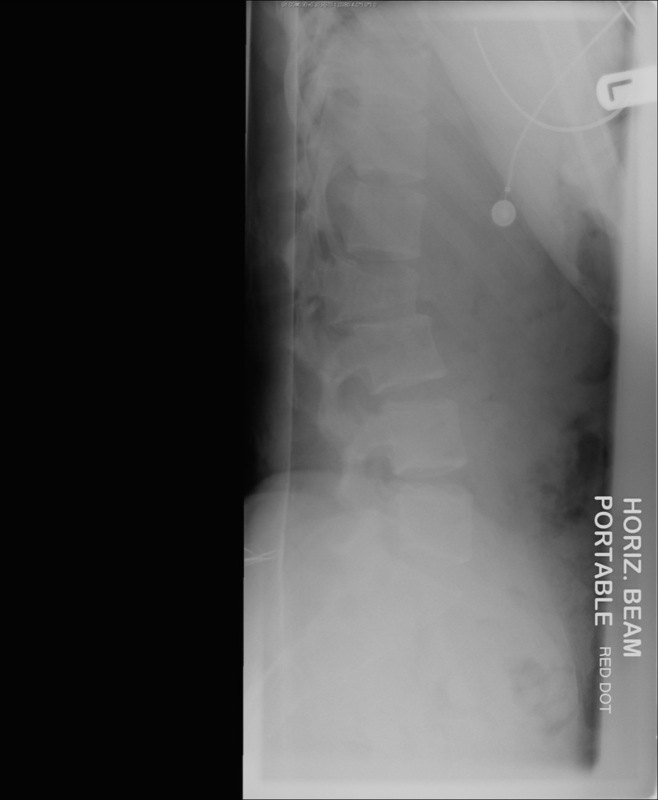 Distance between spinous process should be equal. 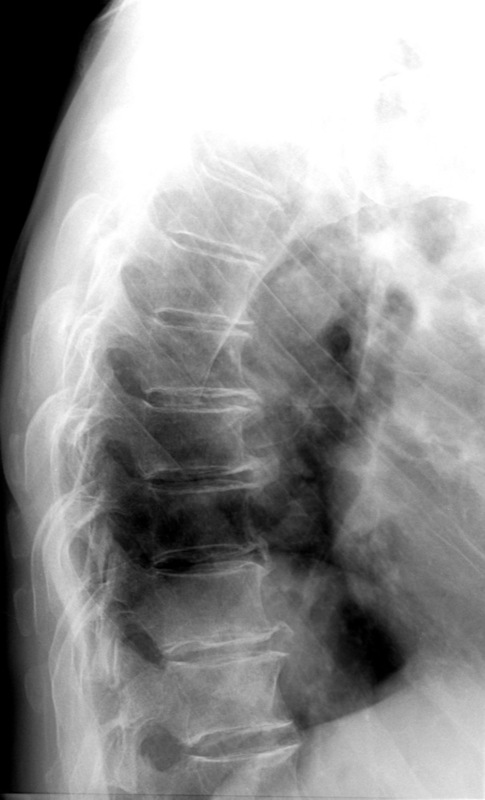 Trace the posterior elements; the pedicles, laminae, and spinous processes. 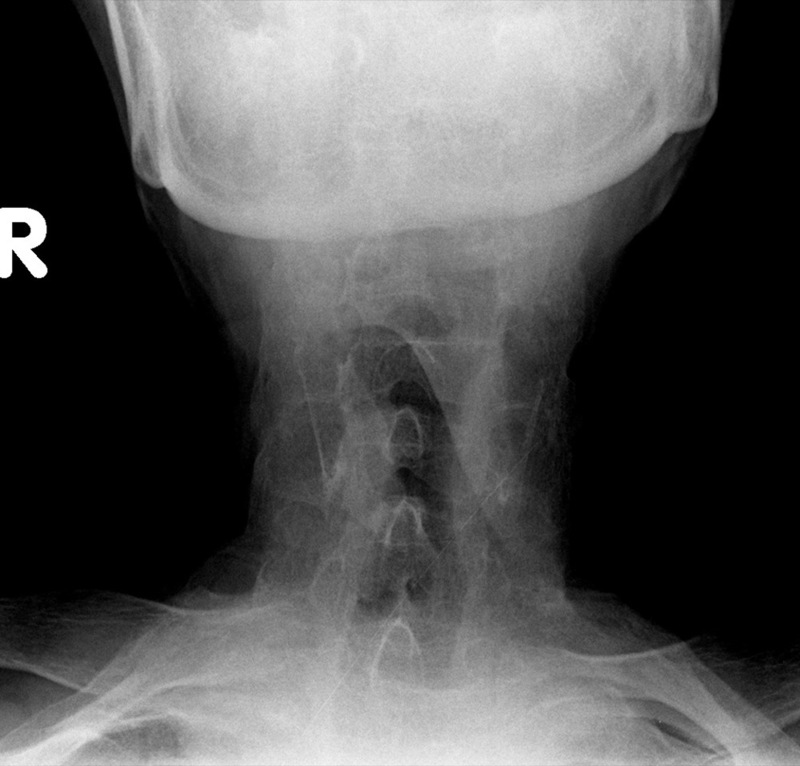 Pleural cap - Refers to a paraspinous haematoma, which dissects over lung apex. 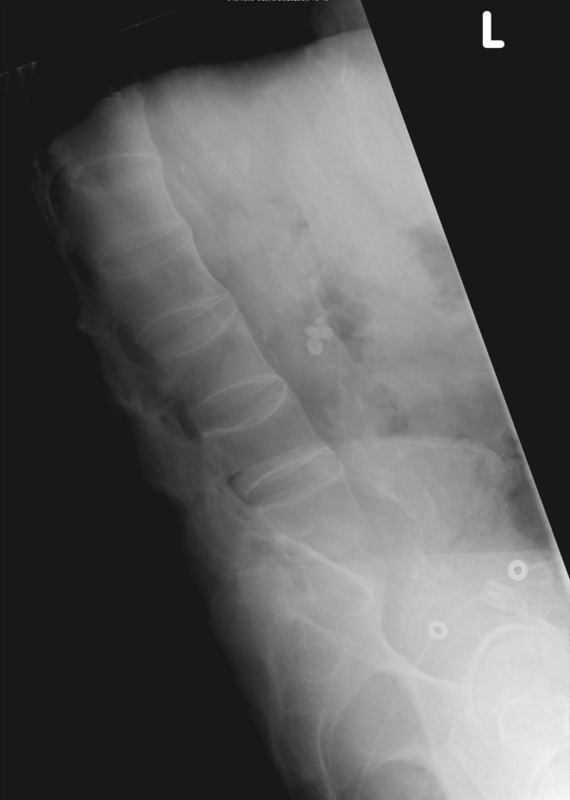 Inter-pedicular distance. Should become gradually wider from L1 to L5. 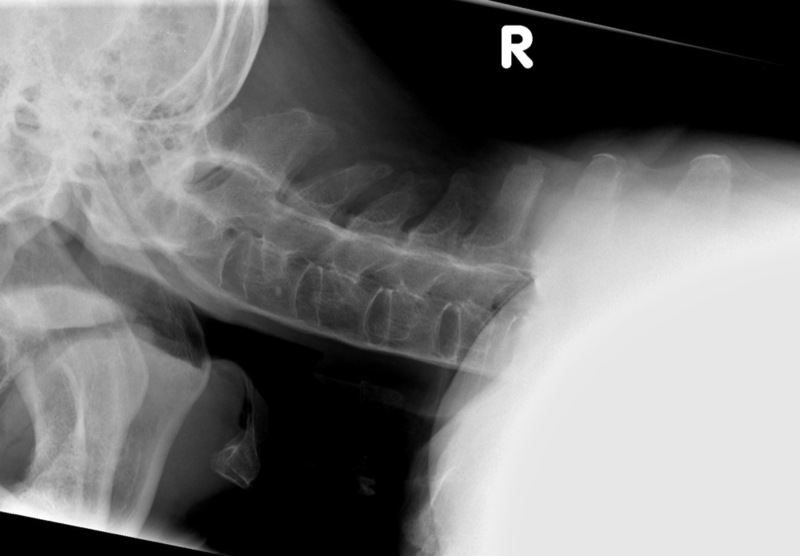 Check for an "empty" vertebral body on the AP radiograph; the posterior elements should be superimposed. 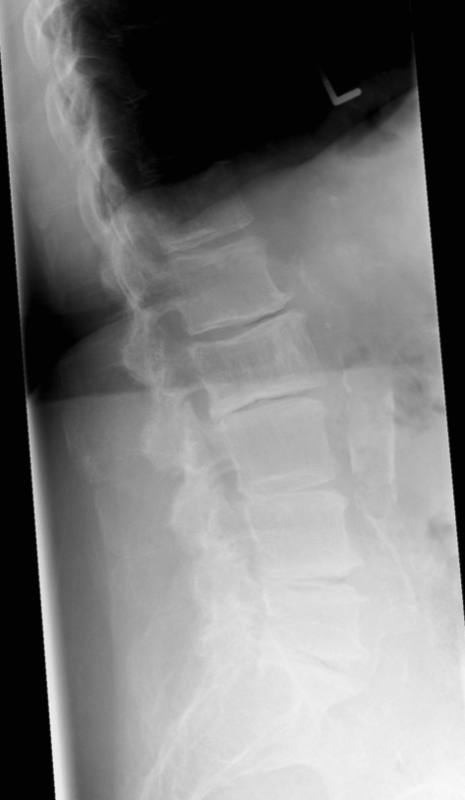 Transverse processes should remain intact. 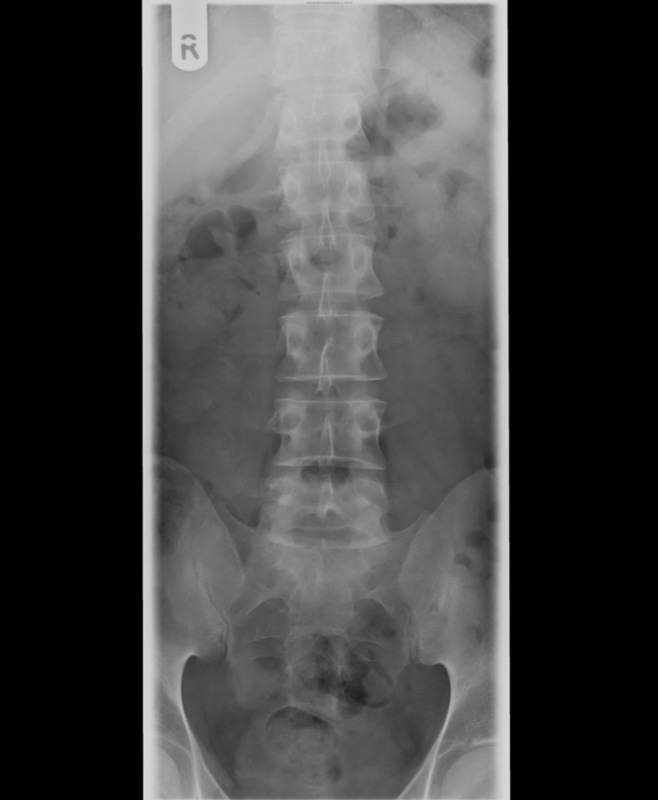 Malalignment. 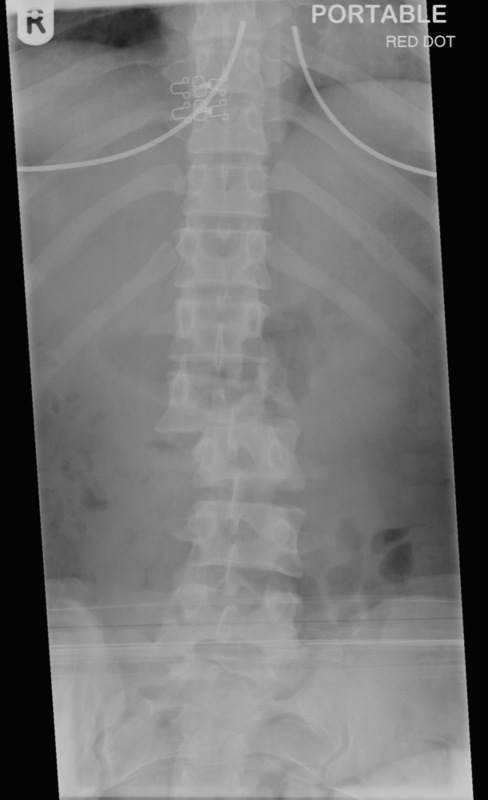 Trace the anterior, posterior and spinolaminar lines. 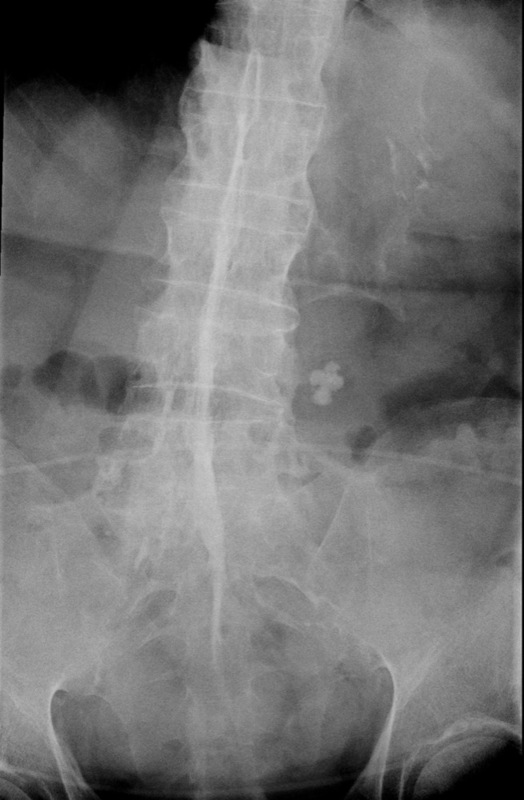 If two of these lines are disrupted, the injury is considered unstable. 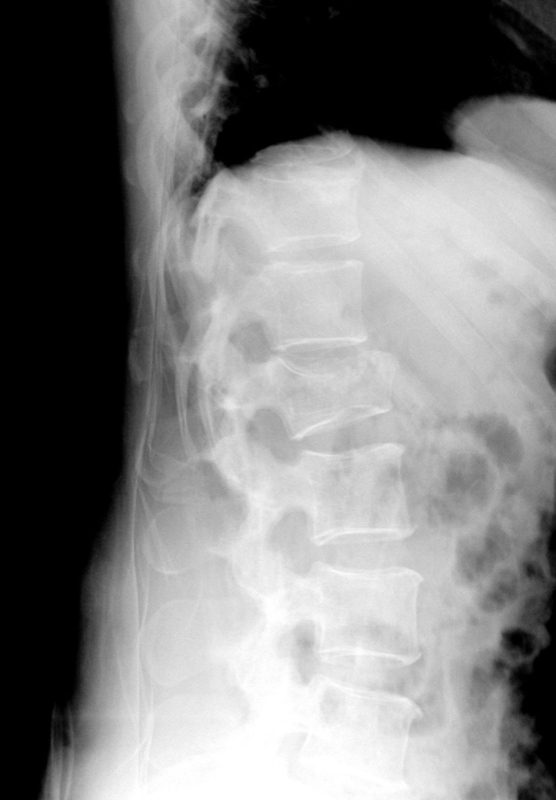 Posterior vertebral body cortex should be slightly concave. 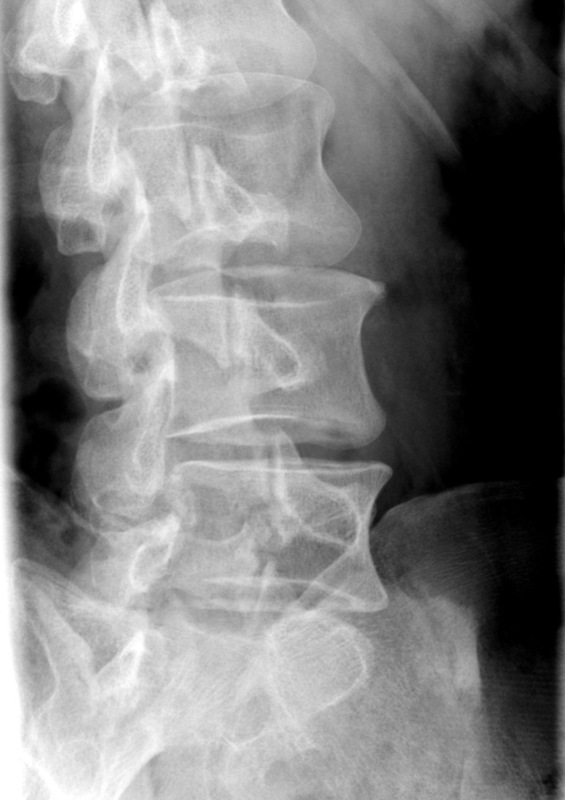 Initially may appear to be an anterior wedge compression fracture, however closer inspection of the lateral view will demonstrate retropulsion of a fragment of the posterior vertebral body into the spinal canal. 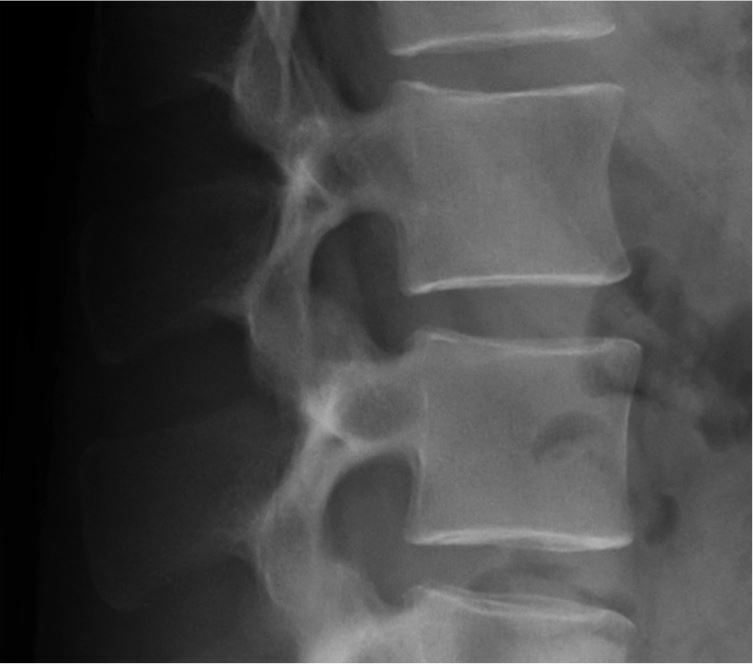 This may be subtle and a loss of the normal concavity of the posterior vertebral cortex may be the only indication. 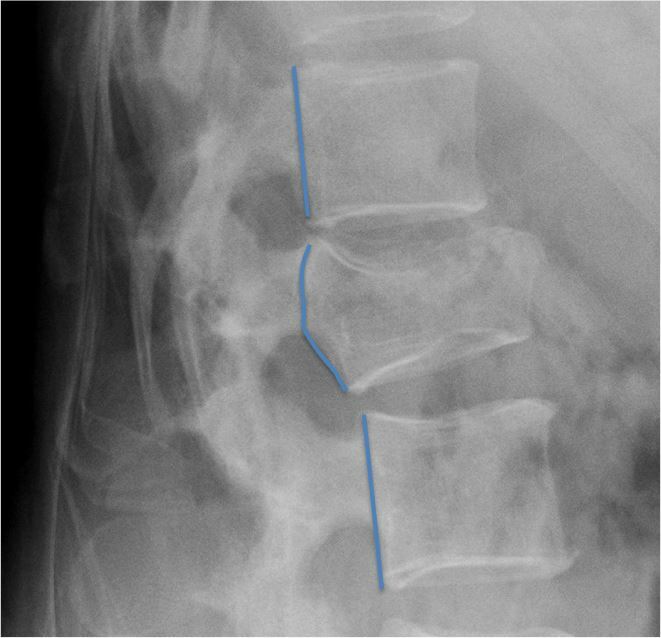 AP may demonstrate widening of the inter-pedicle distance, often with a sagittal fracture of the inferior half of the vertebral body. 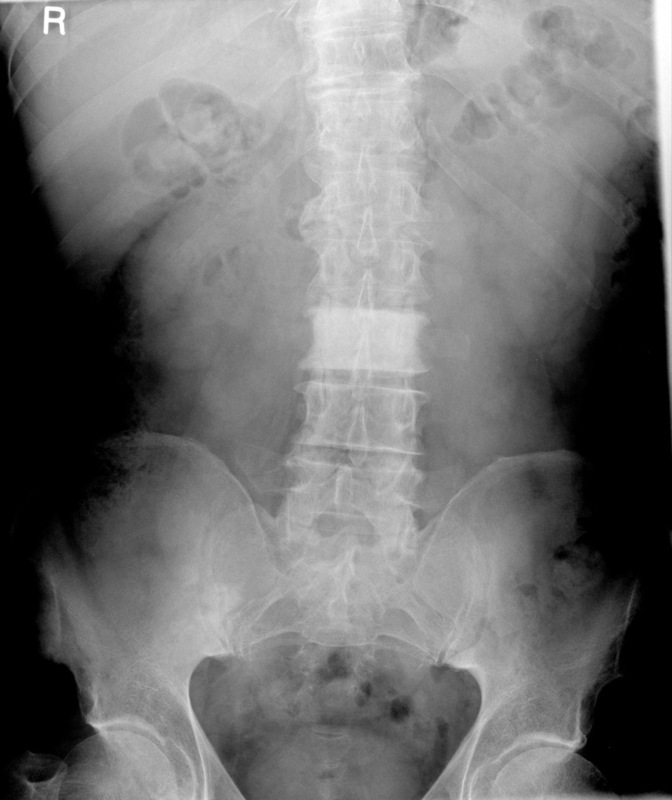 High probability of neurological deficit. 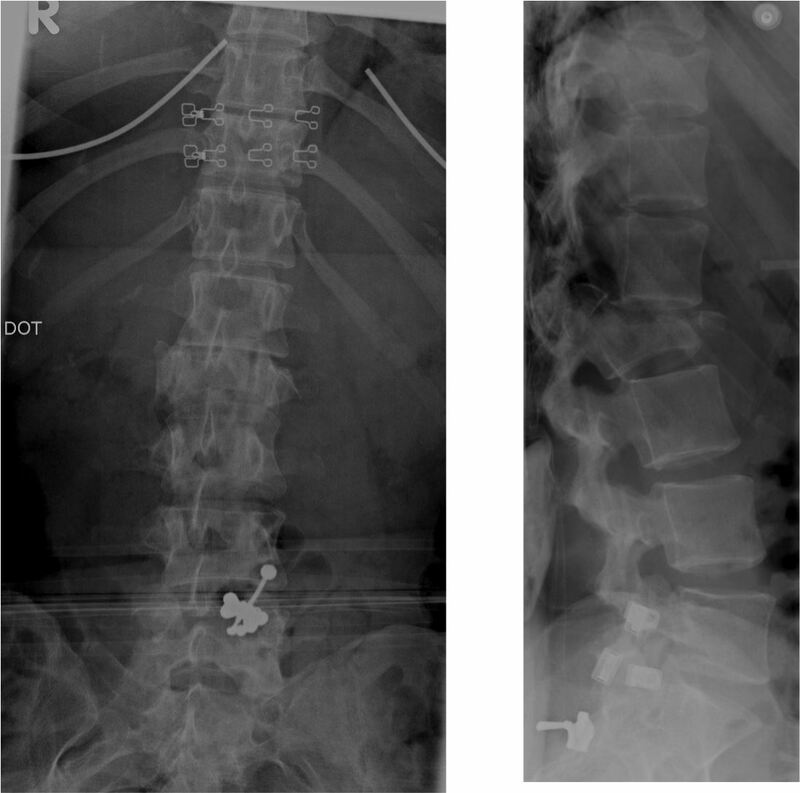 With an increase in distraction, the AP will demonstrate an "empty" vertebral body, as the posterior elements will not be superimposed on the vertebral body. 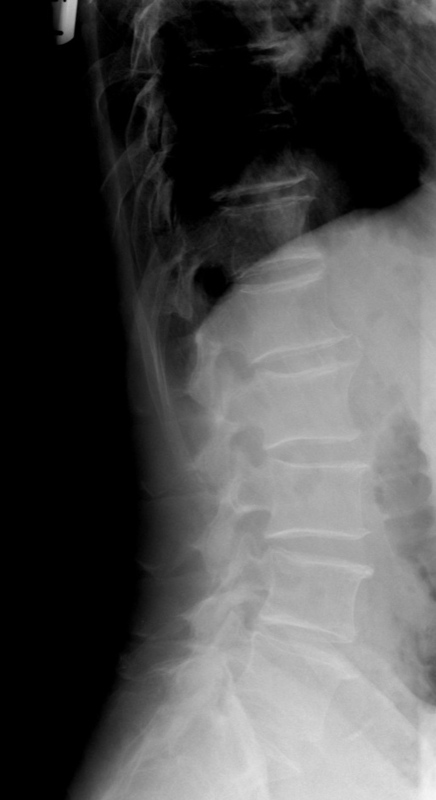 There will be an increase in the inter-spinous distance and a break in continuity of the pedicles or spinous process. 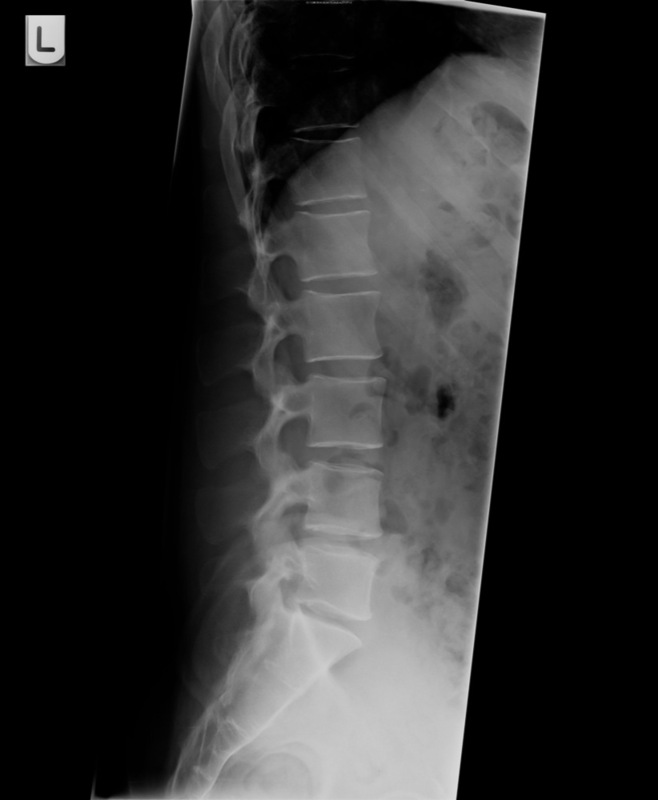 Lateral will show an increase in the inter-spinous distance with horizontal fractures of the spinous process/lamina/pedicles running into the vertebral endplates. 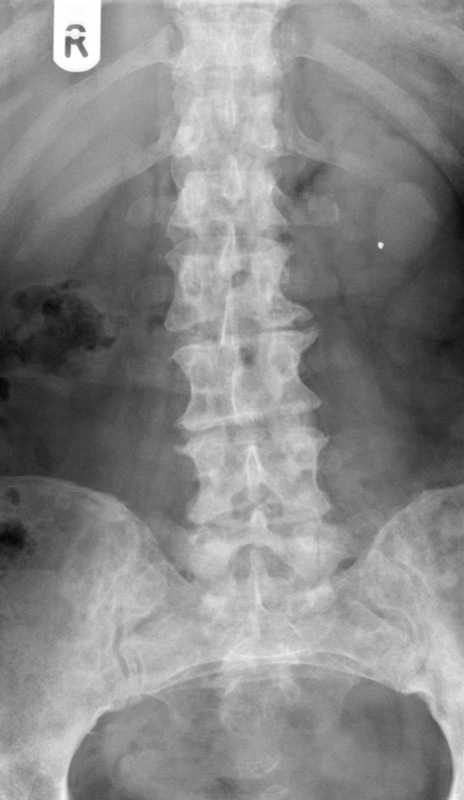 Refers to degenerative changes of the intervertebral disc spaces, which is demonstrated by disc space narrowing, endplate sclerosis and osteophyte formation. 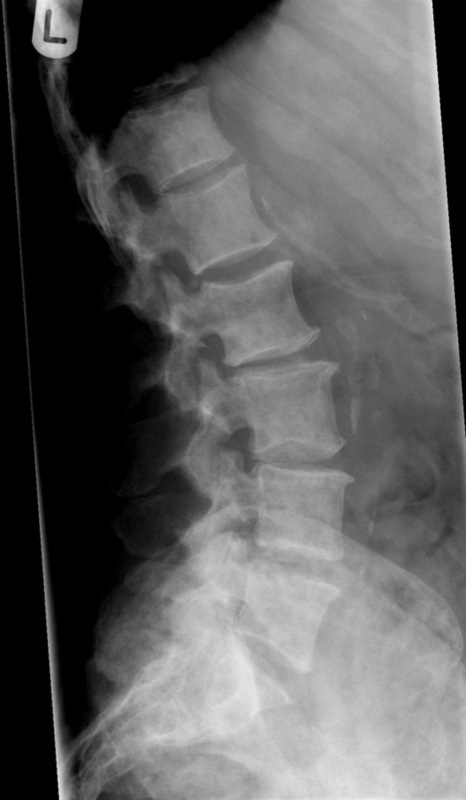 Facet joint OA is seen posteriorly. 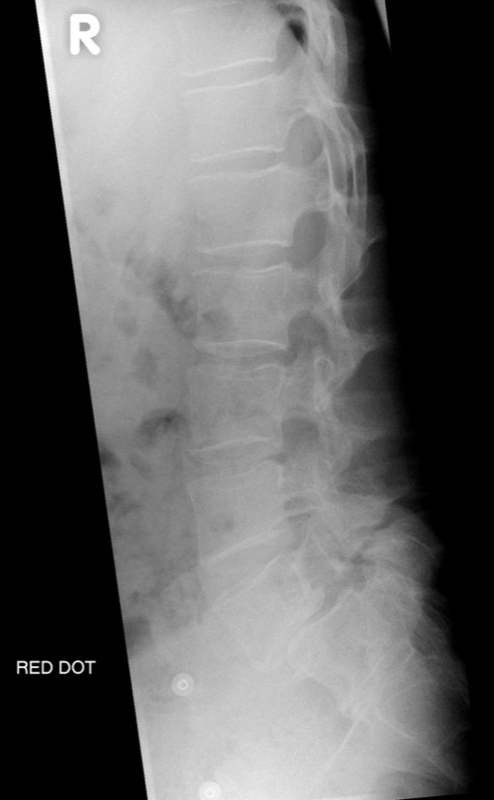 The associated osteophytes may impinge on the nerve root foramina.